Have you wanted to know how to start a pet cemetery business, but didn't know where to start? We have the information you need to get a successful pet cemetery business up and running. All you need is the desire to care for pets and people, and a little business know-how. Like any other business, there are some basic steps that should be followed in order to get a new business off the ground. However, unlike other companies, running a pet cemetery has its peculiarities. Obviously, if you are going to inter animals on your property, the state and local authorities are going to want to be in on your budding enterprise. All laws must be followed, including obtaining the appropriate permits or licenses prior to opening your business. Most laws for pet cemeteries include both a cemetery and a crematorium. However, not all pet cemeteries have a crematorium since many veterinary hospitals own and operate their own. A potential owner of a pet cemetery may only offer burial services for this reason. State and local authorities also have the final say where your business is located, especially if you offer crematory services. Before you buy the land, make sure you know if you can use it for this purpose. Potential business owners can find out what the state and local laws are in their area by either calling the local town business office or by visiting their state's official website. A great business plan is the key to getting financing from a bank. Make sure your business plan is ready to stand up to the tough test of a bank manager's scrutiny. Decide what the layout of the cemetery will look like, including special fountains, gazebos and a chapel. Are you burying a goldfish or a thoroughbred horse? Decide how large each plot should be, taking into consideration the sizes of animals you will accept. Pet cemetery owners may also decide to designate special areas for certain animals or spaces for animals that are cremated. Some pet cemetery owners even offer mausoleums or mass graves, which will take up less area in the cemetery. Pet memorial suppliers are necessary in the running of a pet cemetery business. They can provide you with grave markers, headstones, pet urns, pet caskets and keepsakes. These types of businesses may either provide you with stock that you purchase up front, or provide you with models that customers can choose from before purchase. Most pet casket providers can offer next day shipping on special orders. Word of mouth is one way to get the word out that you've opened a pet cemetery business. However, anyone who wants to have a successful business must market themselves in other ways. Advertise locally through newspapers, radio spots and in free papers. It is also important to let local veterinary hospitals, pet shelters and other pet businesses know that you are operating a pet cemetery business. Print up professional business cards and brochures to leave at other pet-related businesses to advertise your own business. 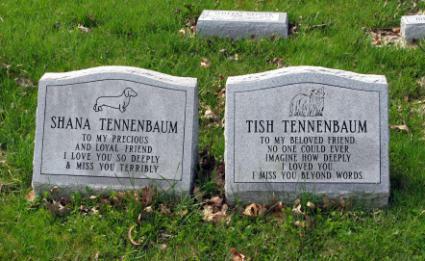 While it is hard to think into the future, all pet cemeteries should hire a lawyer for one important reason: who will take care of the pet cemetery after you are gone? It is important to set up perpetual care of the land once you are gone, especially if no one is planning on taking over the business. Finally, once your business is up and running, consider joining professional local clubs or associations. These affiliations can help you network and make your business the best it can be. The International Association of Pet Cemeteries & Crematories is the largest professional association for pet cemetery business owners. If you love animals and enjoy working with the public, consider starting and running a pet cemetery business. The rewards are numerous, and you'll help many people handle the grief of losing one of their beloved family members.